Immerse yourself in the music of Grammy-nominated Englishman James Hunter’s whose “voice stands out not only for its natural beauty and grit, but for its honesty” (Gabriel Roth). Him and his trusted band are appearing exclusively at Baur’s for an evening of vintage sounding R&B and soul music. Music Appreciation Society invites music lovers of all ages to indulge in the magic of Baur’s Listening Lounge with the sensational sounds of The James Hunter Six. In May 2015, James and his longtime trusted bandmates (Jonathan Lee, drums; Lee Badau, baritone saxophone; Damian Hand, tenor saxophone; Andrew Kingslow, keyboards/percussion; Jason Wilson, bass) returned to the Roth’s Penrose Recorders in Riverside, California (AKA Daptone West) to cut Hold On! live to 8-track tape. Though tunes like “(Baby) Hold On”, “If That Don’t Tell You”, and “Stranded” carry the buoyant energy, crackerjack arrangements, and tough soulful pulse for which the band has become renown, the true treasures of this LP may lie in the deeper grooves. Rumbas, boleros, bossanovas, and easy rockers, each one swinging more than the last: “This Is Where We Came In”, “Something’s Calling”, “A Truer Heart”, “Light of My Life”, “In The Dark” – no clichéd throwback nods to a-time-gone-by here. These are forever songs crafted with immaculate care and ingenuity and sang with an effortless balance of tenderness and grit. The word “authentic” will be bandied about this album, but it really has no place here. Hunter’s words are truly his own and though at moments his voice may “evoke” Ray Charles or Sam Cooke, there lies an inherent naturalness in these songs that bucks any comparison past or present. 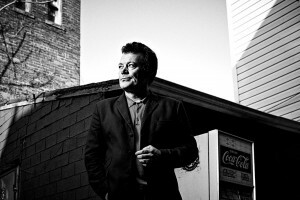 James Hunter was born Neil James Huntsman in Colchester, Essex in October 1962. He left school at 16 to work mending signal boxes on the railways. Introduced to rock’n’roll and rhythm’n’blues via his grandmother’s collection of old 78s, he quickly fell in love with the genre and began to develop his sound as a teenager. His first experience of playing live didn’t occur until he was 22, when his group performed at Colchester Labour club (“we were dreadful”), but his career swiftly started swinging as powerfully and jubilantly as his music. Adopting the moniker Howlin’ Wilf in honour of one of his biggest inspirations, in 1986 he cut an album titled Cry Wilf for the independent Big Beat label with backing band The Vee-jays. Early the following year, he enjoyed his big break when the band made an appearance on Channel 4’s Friday teatime music show The Tube. Howlin’ Wilf & The Vee-Jays became a popular fixture on the UK club circuit, and in the early ‘90s they caught the eye of Van Morrison, who asked them to back him at the Belfast Telegraph Awards in 1991. Subsequently, Hunter was invited to sing backing vocals with Morrison’s touring band – he appears on 1994’s A Night In San Francisco live CD and on 1995’s studio album Days Like This. Returning the compliment, the Belfast soul man sings on Hunter’s ’96 album Believe What I Say. By the early 2000s, however, Hunter found himself down on his luck and working as a labourer in west London but soon realized it was more lucrative and better fun to earn a living busking. The low point came when a homeless female squatted down and relieved herself in front of him while he performed in the street (“Everyone’s a critic!”). Slowly pulling himself out of this slough of despond, with his trusted Six he cut the album that would ignite his career – 2006’s People Gonna Talk, and relaunch his career. In the decade since, Hunter has worked tirelessly on the road and in the studio, honing is craft. However Hold On! is something deeper than just another notch in his belt. From the driving stompers, to the bubbling rumbas, the record drips with the rawness and feeling that Daptone fans have become accustomed to, and cuts straight to the soul of the man who James Hunter fans have come to love. It is truly an artist’s vision come to fruition. 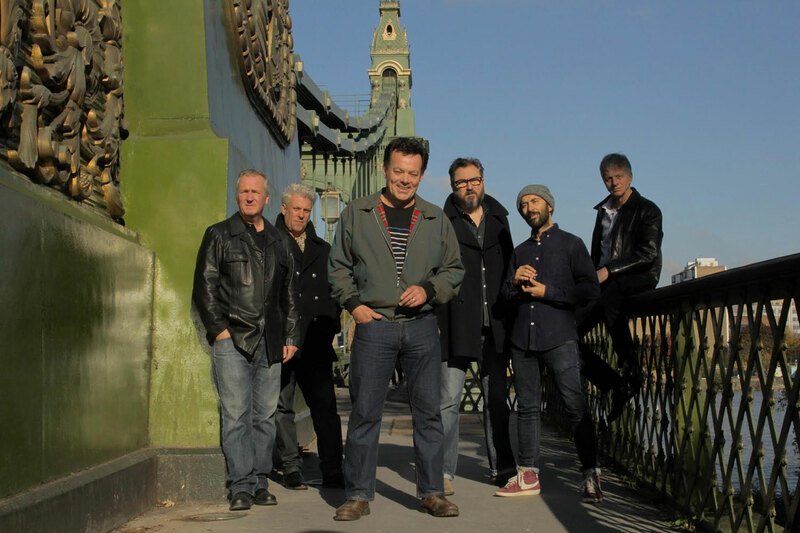 Performing two shows on Sunday, February 19, The James Hunter Six bring their English R&B and soul sound to Baur’s. Purchase your tickets today and call Baur’s to make dinner reservations.